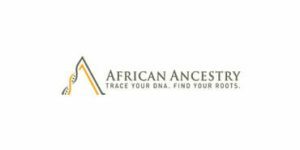 African Ancestry was launched in 2003 by Dr. Rick Kittles and Gina Paige and has since helped over 500,000 people discover their true heritage and explore the very roots of their family trees. Basically, the company capitalizes on the fact that there aren’t any other ancestry DNA testing companies that focus specifically on African descent. The company boasts more than 33,000 indigenous African DNA samples in its database, which supposedly enable it to determine specific countries and ethnic groups with high accuracy. 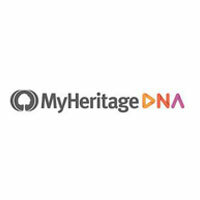 Ancestry DNA testing companies give ethnic estimates by comparing your DNA to genetic profiles in their databases. 33,000 samples doesn’t sound like a lot, but it’s currently the best we have since indigenous DNA signatures are very difficult to come by. If you think your family tree has roots in Africa in the past 500-2,000 years, African Ancestry definitely sounds like an attractive option. Keep reading our comprehensive African Ancestry review to learn everything there is about the company and its service. African ancestry follows the usual direct-to-customer model, but that’s not quite obvious from its official website. The company should have explained it a bit better in its official FAQ or pretty much anywhere else on the site. As it stands, individuals without any prior experience with DNA testing might have a tough time locating the answers to their questions. Placing an order – The first step is deciding on a specific testing option and placing an order on the official website. African Ancestry accepts cash, checks, money orders, Visa, MasterCard, American Express, and Discover. Additionally, you can also use your raw DNA data received from another testing company. Collecting the sample – Once your personal testing kit arrives at your address (within 7-10 work days), you can collect your biological specimen. African Ancestry has opted for mouth swabs, which means it uses buccal cells for its DNA sequencing. The entire procedure takes only a couple of minutes and is entirely painless. Just make sure not to contaminate your sample by allowing the cotton swabs to touch anything but the provided containers. Receiving your results – 6-8 weeks after receiving your sample, the lab should generate your final report. African Ancestry is one of the rare companies that deliver written reports by default. We personally like having our results online as soon as possible and having the option of ordering the paperback version if we so choose. The company recognizes the limitations of its tests and warns its customers about potential situations when it’ll be unable to determine their exact lineages. In these cases, the company will hold on to your DNA sample for up to a year and reanalyze it as its database grows. Alternatively, you can order the company to destroy your sample and request a refund of up to 50% of the original price. MatriClan Test Kit (299.00$) – As its name says, the purpose of this test is to provide you with information about your family tree’s maternal branch. Naturally, since it deals with your mother’s heritage, it analyzes your mitochondrial DNA (mtDNA) exclusively inherited from your mother. This test is available to both men and women, but the company states that it cannot guarantee African results. If you don’t have African origins, the company will determine whether your maternal ancestry comes from Europe, Asia, the Middle East or indigenous America, but you won’t receive a group or a specific country. Your final report will include your haplogroup and HSV1, HSV2, and HSV3 designations. 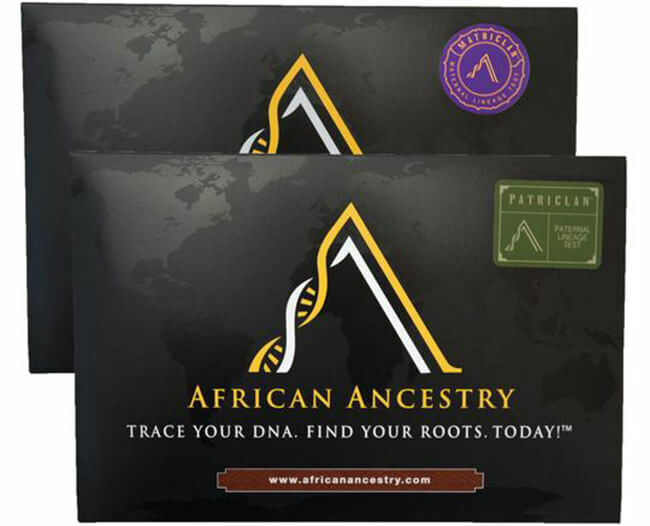 PatriClan Test Kit (299.00$) – This test will explore the paternal side of your family tree. In order to do so, it’ll analyze your Y chromosome inherited exclusively from your father. Therefore, this testing option is not available to women since they do not possess the Y chromosome. However, women can still trace their paternal heritage by finding a male relative from their father’s side who can take the test for them. 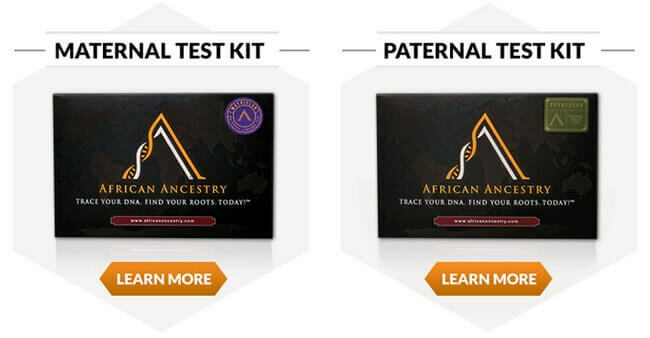 Family Celebration Package (680.00$) – The package contains 1 PatriClan and 1 MatriClan test kit, 6 additional personalized certificates, 4 African ancestry T-shirts, and 2 sets of African ancestry experience cards. Note that T-shirts are intended to reflect the country of your ancestry and they come with a 2$ surcharge for each 2XL and 3XL copy ordered. The online store also offers gift cards (25-299$), T-shirts (from 25$), and ancestry gifts. The whole idea with the T-shirts seems a bit cheap to us, but we’ll leave this to your judgment. What we’re more interested in is the fact that you have to pay 600$ in order to receive a full picture of your paternal and maternal ancestry. That’s something you can do with another DNA testing company for around half the price. We realize you will have a somewhat better and more accurate representation of your African lineage with African Ancestry, but the price still feels way too steep for the value provided. Just remember the case we talked about when the company cannot determine your African ancestry and gives you a 50% refund. That potentially spells 300$ paid for absolutely nothing. Order form – This includes your name, phone number, email, shipping address, and financial information. Cookies – The company is not overly specific here, but it promises its cookies won’t gather any personally identifiable information. Log files – We are definitely not a fan of this part since the company logs your IP address, ISP, browser type, platform type, referring/exit pages, timestamps, and number of clicks. African Ancestry claims it will never sell or share personal user information unless required to by law or as a part of a business transition. The company also claims to use SSL encryption to protect personal information exchanges done through its website, but we have seen no such thing while researching for this African Ancestry review. As we already mentioned in this African Ancestry review, after you’ve placed your order, it’ll take 7-10 business days for your personal testing kit to arrive at your address. Note that you have 90 days to return your DNA sample to the processing lab after you’ve received your testing kit. If you fail to do so, the company will have no obligation to refund your payment or perform any analysis on your DNA sample, as per its Terms & Conditions. The company’s FAQ section is rather poor for our taste and it doesn’t mention anything about shipping locations or additional costs. We haven’t been able to reach customer support to get information regarding these questions. African Ancestry has a very specific and rather clever business model. It focuses solely on African heritage and tries to provide the most accurate and reliable results possible. Of course, we can’t expect wonders from a database with 33,000 genetic lineages no matter how hard the company tries. It is the biggest database of African genetic profiles on the market, yes, but that’s still a relatively small number to provide users with completely accurate estimates and paternal/maternal lineages. The company seems to oversell its service on the home page but keeps it pretty real everywhere else, admitting that it can’t guarantee successful genetic exploration. This brings us to another point we don’t like about African Ancestry. The company fell into the trap of sensationalism and cheap marketing tactics. The site features buzzwords like “DNA power” and calls to action like “See where Oprah Winfrey’s roots began.” These tactics leave an impression of a company that doesn’t believe in its products and has to resort to sensationalism in order to attract customers. Another thing we don’t quite understand is why the company boasts its “100% black ownership” with “black scientists.” What difference does it make? Should people with potential African heritage feel safer if a black person analyzes their DNA? You can also be the judge of that. The company points out that its competition features “no black ownership and no black scientists.” How can they possibly know that, and again, what difference does it make? Bottom line, people with African heritage should definitely have an opportunity to explore their genetic roots and identify the tribe and location where their genetic signature first appeared. However, African Ancestry is not quite there yet. The company is plagued by several problems, including a rather small database, high prices, and a completely misguided marketing approach. If the team continues to work on these segments, African Ancestry can definitely become a pioneer of African ancestry worthy of the name. Our ratings are the result of an objective and independent evaluation of African Ancestry, generating the final rating that reflects the overall quality of the company. Ratings may change as the service changes. African Ancestry user rating based on 7 user reviews. Yes, they told me I'm from Africa, but couldn't tell me the city or my ancient tribe ? Glad to see a company dedicated to African origins. It really helped me get in touch with my roots. We found 0 verified African Ancestry discounts for April, 2019. There are no African Ancestry coupons or discounts right now. If you like African Ancestry but aren’t sure whether they are truly the ideal choice for you, you may want to take a look at our comparisons below to discover if one of their competitors is more suitable for you.